It took David Bowie quite a long time to rise to the top of the pop world. His naiive debut album from 1967 is rather outdated. 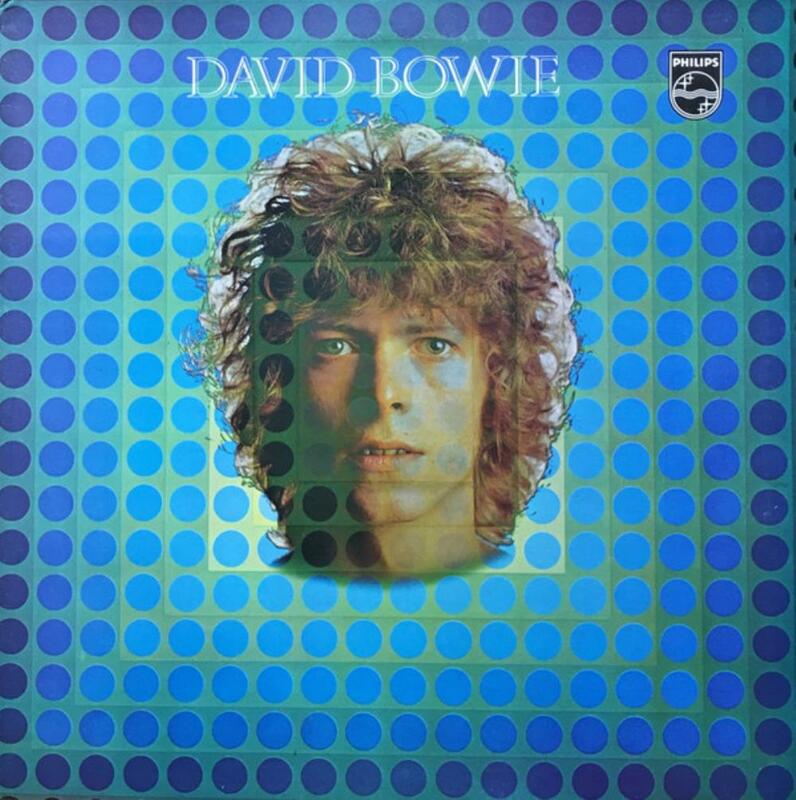 This second album also was originally without a specific title, but due to the success of the song 'Space Oddity', it is nowadays known by that name. Even though the wonderful and at the time very topical song about astronaut Major Tom is among Bowie's best known and most beloved evergreens, the album as a whole doesn't enjoy the similar high status. Listener who expects to get more songs with such charm and commercial potential will probably be disappointed. But as the ratings prove, this album certainly has its strengths that place it firmly in the good middle league in Bowie's vast discography. Some songs are frankly pretty forgettable (while I'm writing this without the album playing, and months since the last time I listened to it, I have very thin memories of e.g. 'Unwashed and Somewhat Slightly Daze' or 'An Occasional Dream'). 'God Knows I'm Good' I do remember well, but only because it's so simple and repetitive, and therefor a weak effort. Brief 'Letter to Hermione' is a nice acoustic ballad, and 'Janine' is compared here to Bob Dylan's folk period. The 9½-minute 'Cygnet Committee' is undoubtedly a highlight from the prog listener's point of view, and also 'Memory of a Free Festival' has an interesting feel of an epic, even though the repetition of the line "Sun machine is coming out / and we're gonna have a party" lasts a bit too long in the end. But my favourite besides 'Space Oddity' (which I love!) is 'Wild Eyed Boy From Freecloud', a masterful blend of fine vocals, moving lyrics and beautiful elegance of the orchestral arrangement. This album shows Bowie in the early phases of his slow and gradual progress of becoming one of the leading singer-songwriters in pop/rock, but with at least one foot in the folk territory and some late-sixties' psychedelic scent still lingering in the air. It was followed by the relatively hard rocking The Man Who Sold the World (1970), which introduced Bowie's central collaborator Mick Ronson and is generally seen as the beginning of his classic era. However, I personally enjoy Space Oddity more. In some ways the folky charm and the arrangement excellence on certain highlights of this album point towars (and perhaps occasionally even beat) seminal Hunky Dory (1971) -- which of course is a clear winner when it comes to multi-style song-writing.